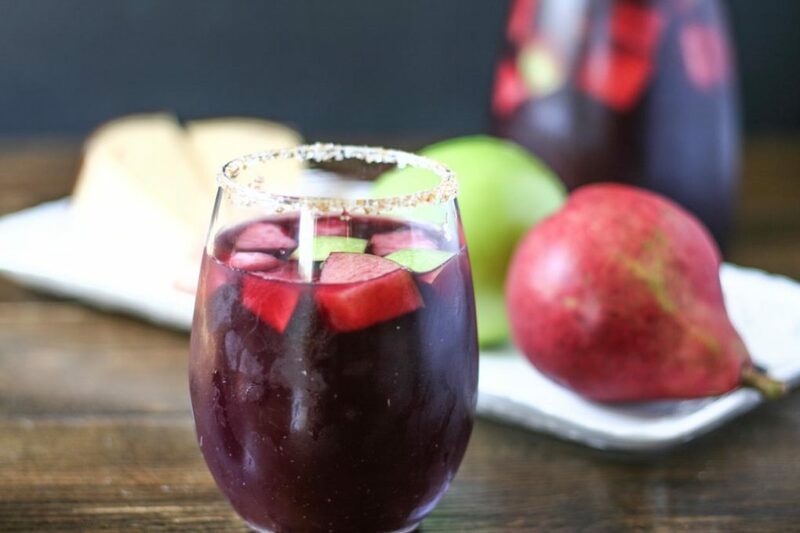 Snuggle up with a warm blanket, a good book, and this harvest apple sangria. 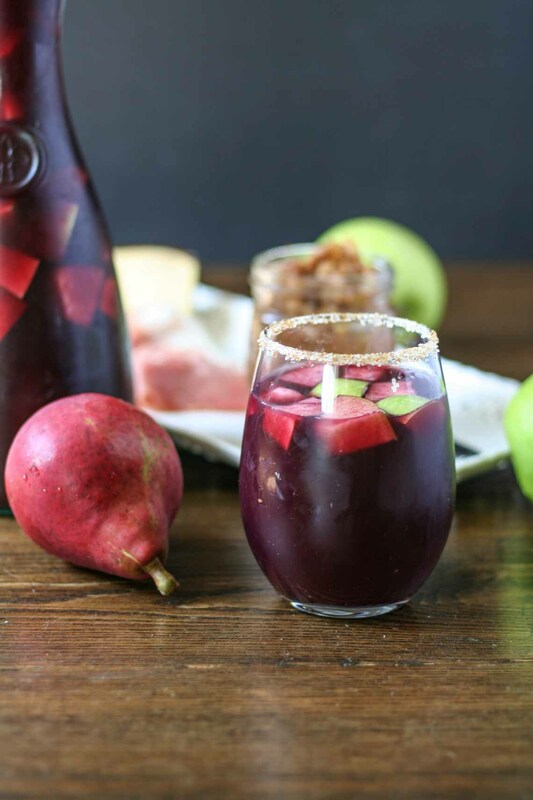 Red wine, mixed with apple cider and fresh apples and pears means no need for extra sugary additives or mulling spices. This is a dry sangria but not too dry. Sangrias are one of my favorite drinks. You really can’t go wrong when ordering a sangria (except one time, when I had a sangria that contained various hard liquors rather than wine. It was weird, and not good.) 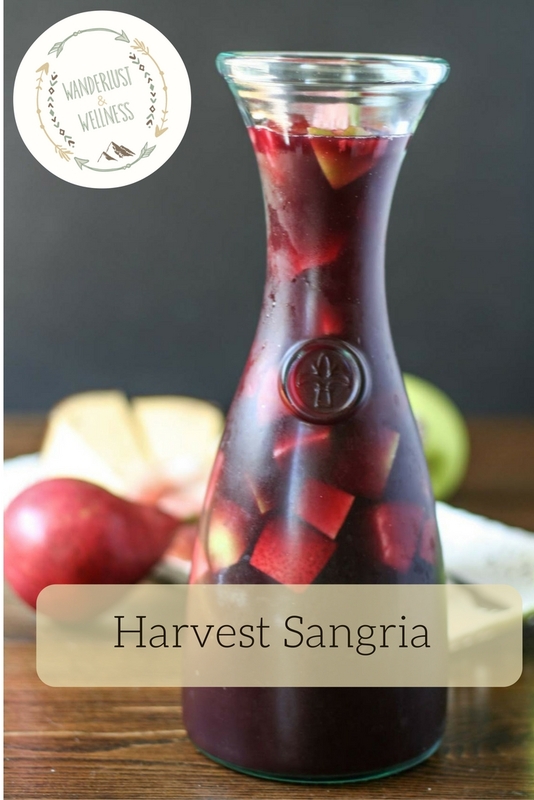 But trust me, if you’re a wine drinker you will love this harvest apple sangria. If you want a touch a sweetness with your sangria then you’re going to want to try out this coconut sugar rim option. It was the perfect addition to the dry red wine and fresh fruit. You could even add in additional spices if you’d like. I think when I make this again I’m going to add in cinnamon sticks, maybe even some cloves. The organic apple cider helps add some of those flavors but feel free to experiment. 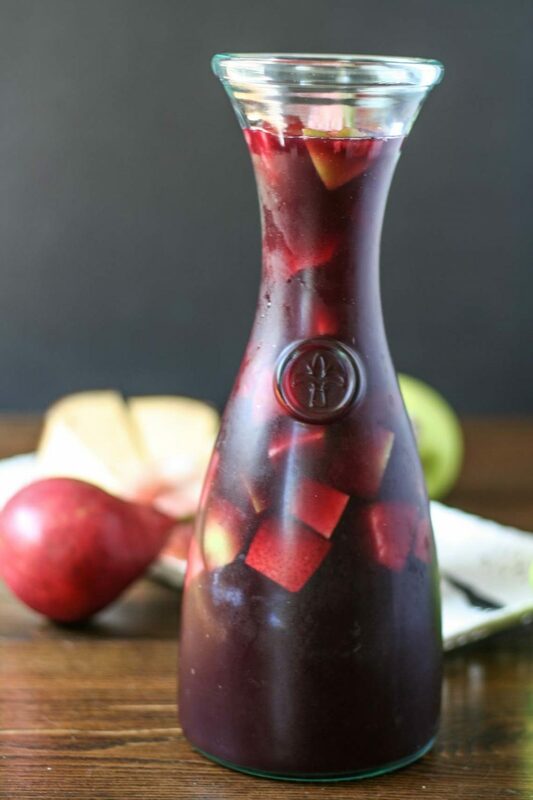 That’s the joy of a sangria, it’s a party of flavors in one glass! I enjoyed this harvest apple sangria with a nice chartreuse platter with a side of homemade apple chutney. The PERFECT fall collection of flavors! 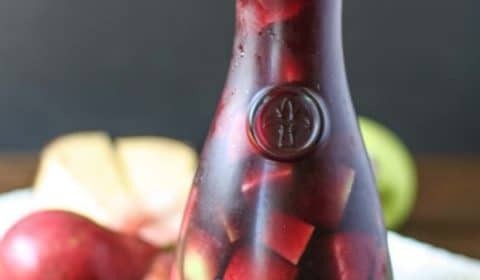 Mix all sangria ingredients together in a large pitcher or carafe and store in the refrigerator. Let sit for several hours (or overnight) to allow the flavors to meld together. For sugar rimmed glasses, combine the cane and coconut sugar and pour onto a small plate. Dampen the rim of the glass then dip into the sugar combination.